Anyone who has worked with students learning algebra knows the truth to the maxim: MISTAKES HAPPEN. This is the first in a series of posts offering PRACTICAL SUGGESTIONS for decreasing the number of algebraic mistakes students make. Let's Reduce Mistakes in Algebra! First, it’s useful to recognize a key fact: we can’t help students with mistakes if we don’t know what causes those mistakes. 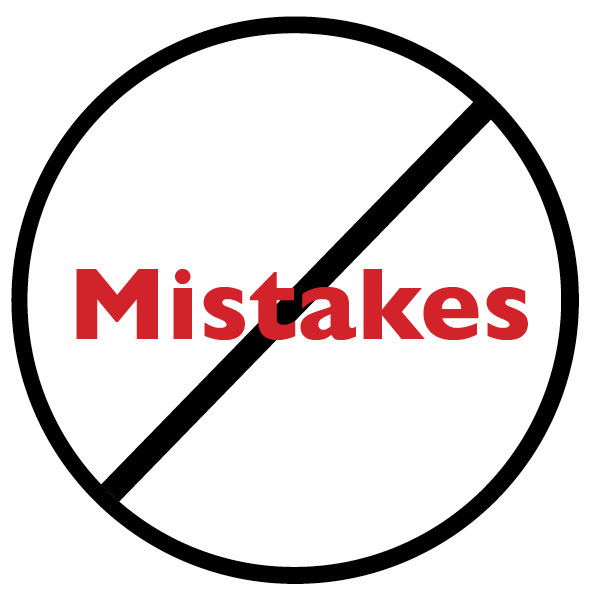 Years of tutoring have taught me a lot about why students make mistakes. 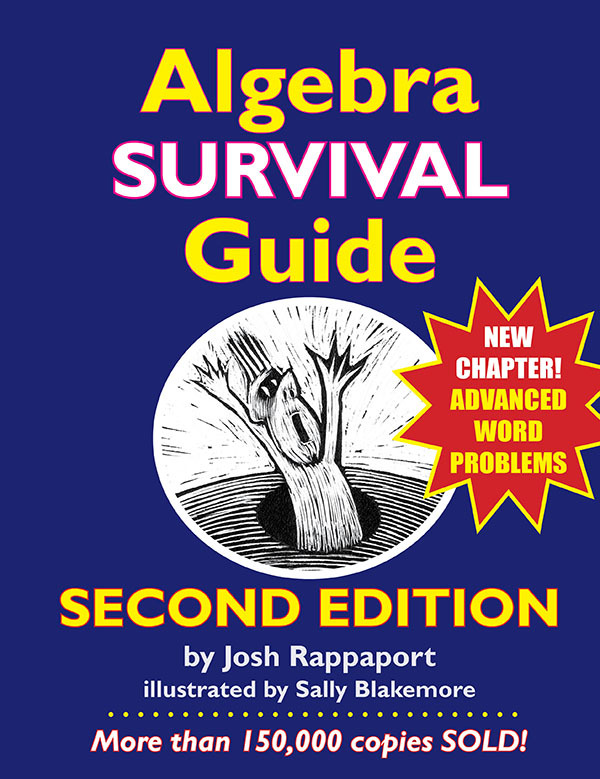 And one major cause of mistakes in algebra is that students combine terms that should not be combined. Not all their fault, though. Students are often confused about what they may and may not combine. And it is tricky! Certainly some kids can simplify this expression with no trouble. But in my experience, many struggle with a problem like this (when first learning it), and quite a few stay befuddled for quite some time. Q: How can we help students avoid this mistake? A: Use a mark that show students what gets combined and what stays separate. I will start to elaborate on how I do this in tomorrow’s post. In my last post I provided three mixture problems for all of you to do. Here again are the problems, with the answers to them italicized. 1. Kendra starts with 10 liters of a 40% antifreeze solution. How many liters of pure antifreeze would she need to add to end up with a solution that is 60% antifreeze? Kendra would need to add 5 liters of pure antifreeze. 2. Keith the chemist has a solution that is 25 quarts of 20% Boric Acid. How many quarts of 70% Boric Acid would Keith need to add to end up with a solution that is 50% Boric Acid? Keith would need to add 37.5 quarts of 70% Boric Acid. 3. Erin has a 2-liter solution that is 15% alcohol. How much pure alcohol would she need to add to it to end up with a solution that is 40% alcohol? Erin would need to add 5/6 of a quart. In my last two blogs I showed how to solve mixture problems. So now I want to give you some practice, so you can become an expert at solving these kinds of problems. The answers will be stated in the next blog. 1. Kendra starts with 10 liters of a 40% antifreeze solution. How many liters of pure antifreeze would she need to add to end up with a mixture that is 60% antifreeze? 2. Keith the chemist has a mixture that is 25 quarts of 20% Boric Acid. How many quarts of 70% Boric Acid would Keith need to add to end up with a mixture that is 50% Boric Acid? 3. Erin has a 2-liter mixture that is 15% alcohol. How much pure alcohol would she need to add to it to end up with a solution that is 40% alcohol? In the last blog you learned how to use a cool tool, “the master equation,” to slay (rate) x (time) = (distance) problems, R x T = D.
Now that you are initiated into the wonders of master equations, you might like to know that you can also use them for problems that many find even trickier: those dreaded “mixture” problems. You start out with 5 liters of a 40% antifreeze solution. How many liters of pure antifreeze would you need to add to wind up with a mixture that is 73% anti-freeze. The nightmares coming back to you now? But as I mentioned, you can now use a “master equation” to solve these problems, just as we did with R x T = D problems. First, though, you need to understand something fundamental about mixture problems. And it helps if you can relate it to what we just learned about R x T = D problems. With R x T = D problems, a key was seeing that any distance can be represented by a rate multiplied by a time. For example, if a car travels 60 mph for 4 hours, we can express the distance it travels as the (rate) x the (time): (60 mph) x (4 hours) = 240 miles. The distance IS the product. S = C x V.
What does this mean? Well, here’s an example. Suppose in a word problem you’re told that you have 4 liters of a 50% antifreeze solution. You need to know how much actual antifreeze is in that solution. The antifreeze is the “stuff” we care about here. Use your new equation: Stuff = (Concentration) x (Volume). So just multiply the (concentration) by the (volume) of liquid. That means you multiply (50% concentration) x (4 liters), which is the same as (.5) x (4.0) = 2.0. This means that in those four liters of solution there are exactly 2 liters of antifreeze. Wondering why this is true? Just remember that 50% means HALF. So a 50% antifreeze solution means that half the liquid is antifreeze. Since you have 4 liters, half of that, 2 liters, is antifreeze. What’s great is that you use this same principle and equation no matter how complicated the numbers might become (and you know that they don’t always stay easy, right?). So suppose you’re dealing with 12 liters of a 35% antifreeze solution. No problem. To see how much antifreeze is in those 12 liters, just use your new equation: S = C x V. Antifreeze = (.35) x (12) = 4.2. This means that in those 12 liters of solution there are exactly 4.2 liters of antifreeze. Antifreeze = (.65) (12 – x). In my next blog I will show how you put these ideas together to actually interpret and solve a mixture problem. Trust me, now that you know S = C x V, it won’t be difficult. In my last blog I described what master equations are and how you can use them to solve word problems. I then promised to show you how to use master equations to actually solve word problems. Here is the blog that shows how you use them to solve equations. Let’s see how you solve a word problem with one of these master equations. Tino and Gino get into an argument and drive away from one another. Tino leaves first, heading north at 65 kilometers per hour. Two hours later Gino heads south, traveling 45 kilometers per hour. The question: at what time will Tino and Gino be 460 kilometers apart? Step 1: Decide which master equation to use. Since Tino and Gino are traveling in opposite directions, they are covering different distances. Since their distances are different, we would not use the master equation Distance 1 = Distance 2 . The only other option at this time is Distance 1 + Distance 2 = Distance Total. We can use this master equation, calling the distance that Tino travels Distance 1, and calling the distance that Gino travels Distance 2. Then the Distance Total would be the 460 kilometers. Of course we also need to come up with expressions for (time Tino) and (time Gino), and this is a bit more tricky, but not too bad. Notice that the problem says that Tino leaves first, and that Gino leaves two hours later. That means that Gino drives two hours LESS than Tino. In algebra-ese, we can express this idea by letting t = the time Gino drives, and then (t + 2) for the time that Tino drives. Since we let the variable t stand for Gino’s time driving, this means that Gino has been on the road for three hours when he is 460 kilometers from Gino. Since Tino drove two hours more than Gino, Tino must have been on the road for five hours when he and Gino were 460 kilometers apart. Again, the main point is simply that understanding master equations gives you a guideline that makes it simple to understand problems that otherwise would have left us scratching our heads. I’ll probably write a bit more about master equations, as they are so useful that everyone should really know what they are and how to use them.